The mini version of the Keurig comes in three colors: black, red, and silver. 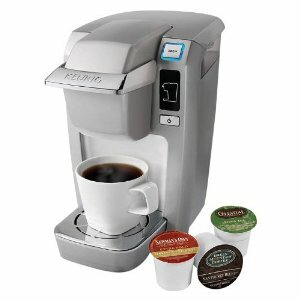 The cup size is for 6, 8, or 10 oz cups and can brew coffee in about 2 minutes. One key feature is that it will power-off after 90 seconds in case you forget to turn it off. Ideal for college students or in an office setting.